Welcome to Dan Taylor Model Works - Like D-Day only in 1/76 Scale! Thank you for taking time to look through our online shop. Obviously we hope that you find our models and accessories interesting. If you have ideas you would like to see and which you think might fit well with our other offerings, please let us know. I can vividly remember the first proper model I ever saw. It was when I was ten years old, on a family holiday in France in 1975, and I persuaded my parents that we had time to stop at Arromanches in Normandy to see the D-Day Museum. It was an epiphany moment, gazing through the glass at minutely captured moments of the Invasion. I'm Dan Taylor and I've been fascinated with the Normandy campaign ever since. My career has been a little more varied than it ought, having included spells in fine art, architectural & film modelmaking and teaching. I have also served with the Territorial Army. The Modelworks was set up in 2008 although I've been working towards this point for nearly twenty years making master models for Milicast Models and Accurate Armour. Besides making models related to Normandy, I have researched and written about the campaign and occasionally lead battlefield tours and presented documentaries. Samantha Williams. Sam studied 3-Dimensional design, specialising in exhibitions. She currently works as a Design Technician at a museum & exhibitions agency, utilising her skills in 2D & 3D drafting and modelling to bring projects from concept to completion. She contributed a great deal towards the initial production of the Sherman V based models and through that to a number of other items in the range. Tom Welsh was educated at Holyrood and then spent his working experience for 35 years in the Motor Industry, in stock control , component distribution and fleet management. He then decided to turn his long time hobby and part-time work into his main business over 10 years ago, although he has owned and run Milicast for over 25 years. Tom's enormous energy and encouragement has been a real benefit to Modelworks and we have enjoyed a long and (largely) mutually beneficial association. 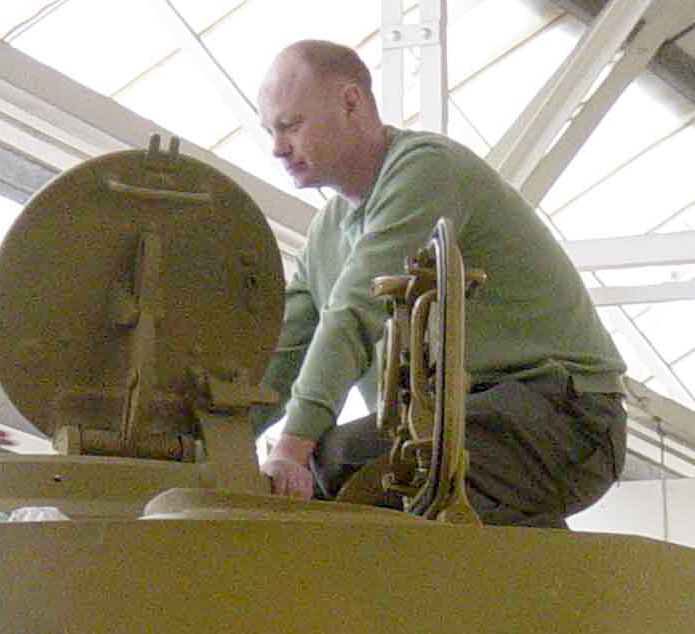 Jim Brown has worked for over 25 years in the model making industry. He studied Industrial Design at Paisley University and has become a specialist in the art of hand-made moulds for Milicast. He is a fine model builder in his own right and also refines and evolves master models so as to offer unusual and interesting variants. John Burton served with the RAF and, on leaving, spent his working life in the Aircraft Industry. He is a prodigious and gifted model maker who uses his skill to create many fine master models. Catherine Taylor provides invaluable support for Modelworks along with terrific impetous to keep me busy and business-like. Her career has included international relocation and office management and she is also an excellent French linguist which has helped no end with research. As a company, we also draw on the expertise of some specialist companies, particularly in the creation of some of our accessories. Fantasy Printshop - established in 1997 - needs little introduction. They are the pre-eminent producer of waterslide transfers in the UK and have printed for company's in most countrys in the world! They have been responsible for the creation of numerous exquisite transfer sets for many diverse companies. PPD Ltd are responsible for the production of our etched brass sheets. They have been established for over 30 years, based in Argyll on the west coast of Scotland. Their quick, efficient service has proved invaluable and they really give our range an added dimension. PPD are quite flexible, they can provide large production runs or small prototypes, feel free to contact them about any matter regarding their photo-etching service.